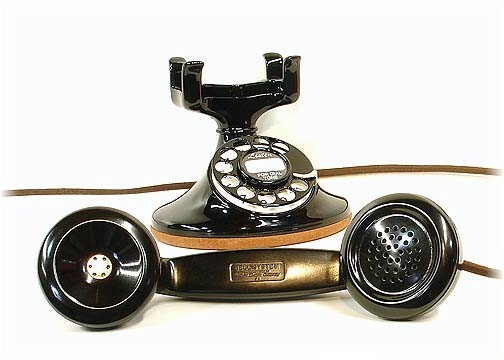 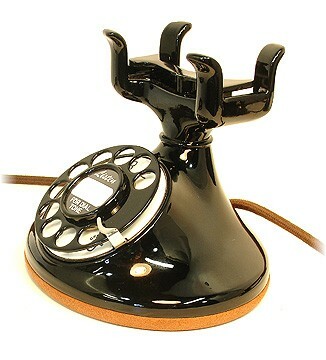 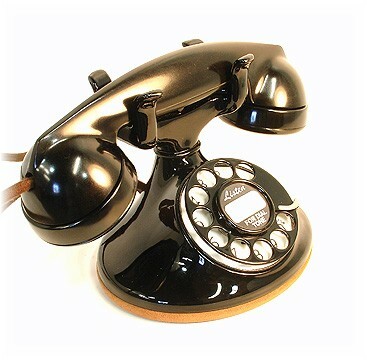 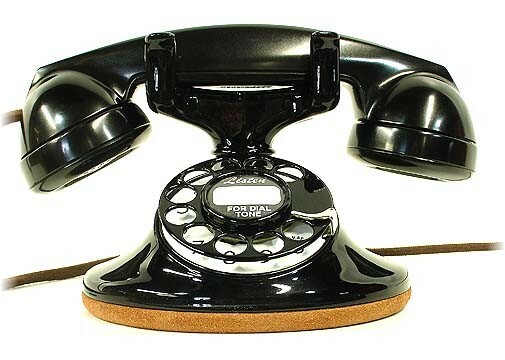 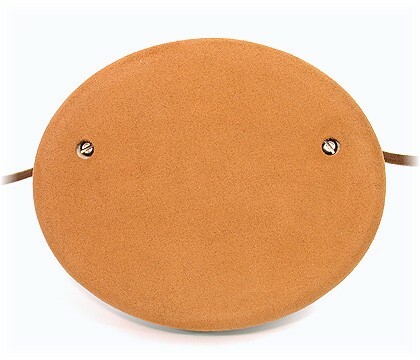 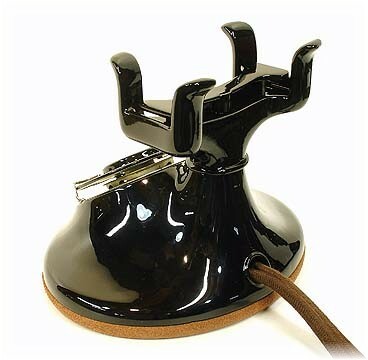 This very desirable solid bakelite, F1 handset has been machine buffed to a soft, brilliant luster. 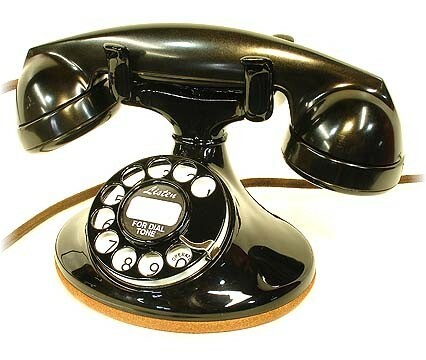 Beautiful NOS (new old stock), porcelain "Numbers Only", rural dial face is in absolute mint condition. 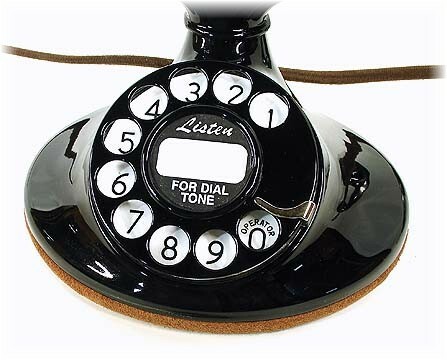 Numbers are bold, bright and crisp. 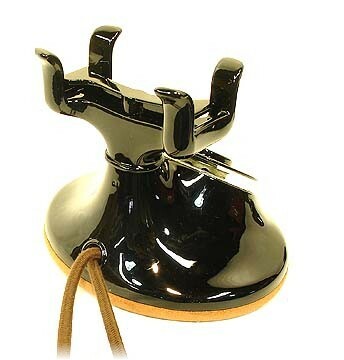 The nickel plated finger stop has been machine buffed to a mirror finish. 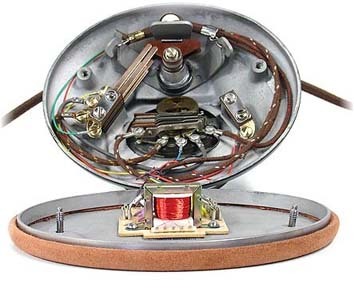 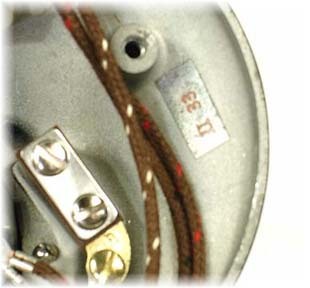 Western Electric date stamp II 33 indicates that this set was manufactured in the 2nd quarter of 1933.